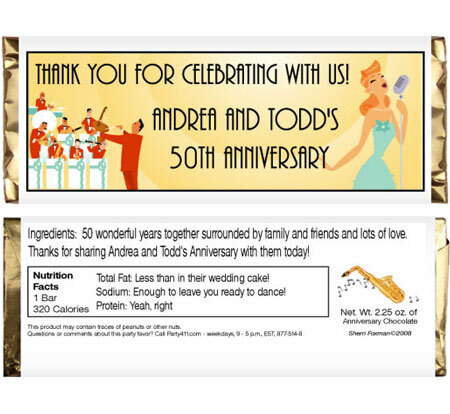 Party411.com has great anniversary candy bar wrappers that are perfect for 50th, 25th or any anniversary! 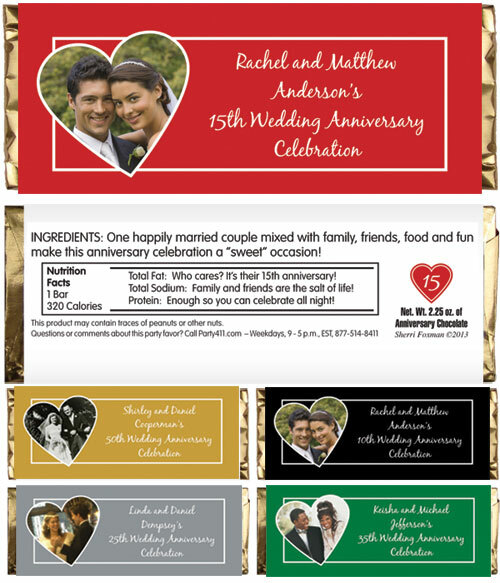 A great anniversary celebration party favor. 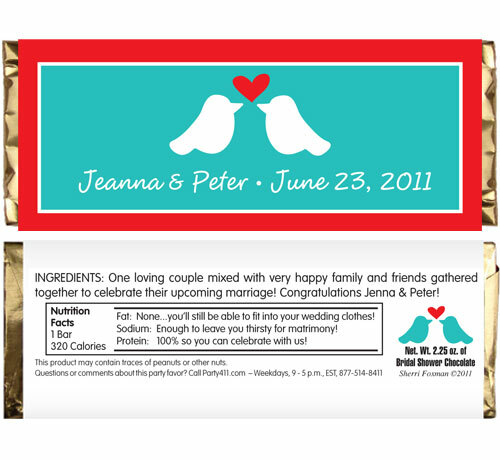 A great 25th anniversary party favor. 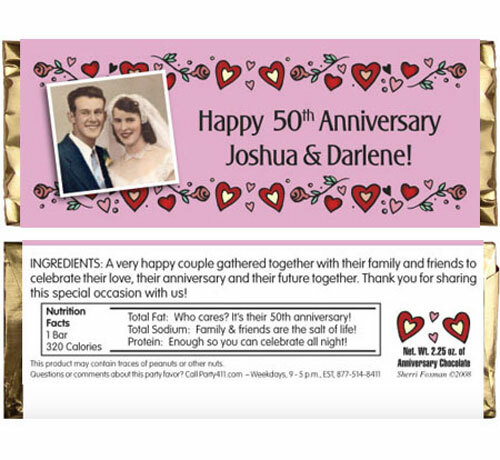 A great 50th anniversary party favor. 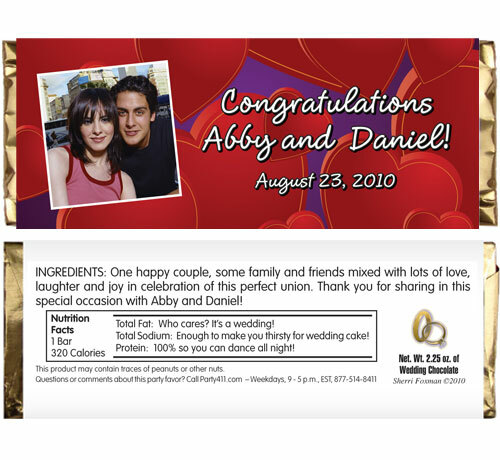 A great photo anniversary party favor. 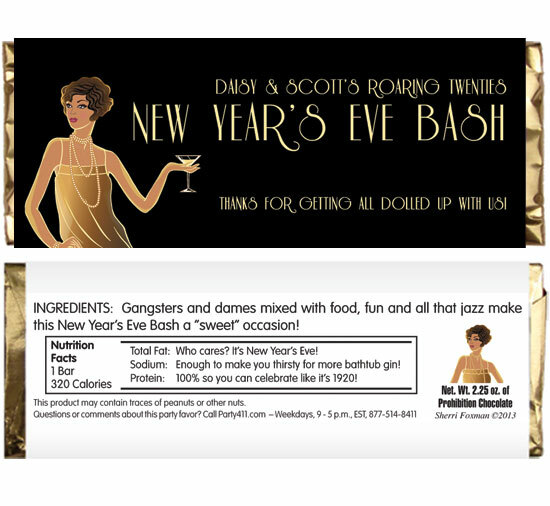 A great Art Decor favor for your Roaring 20s party. 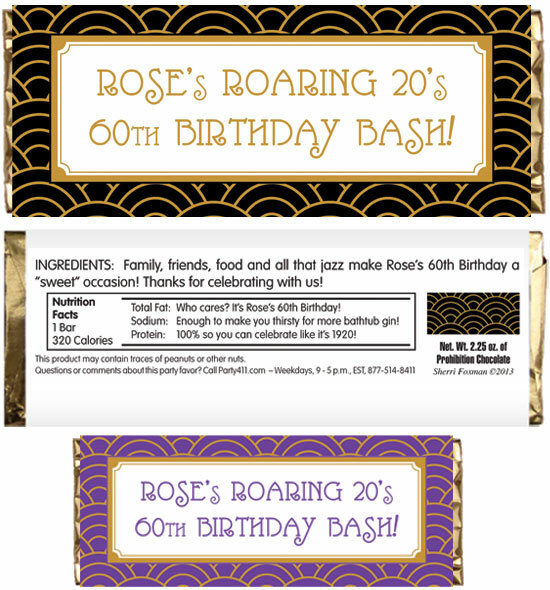 A great favor for your Roaring 20s party. 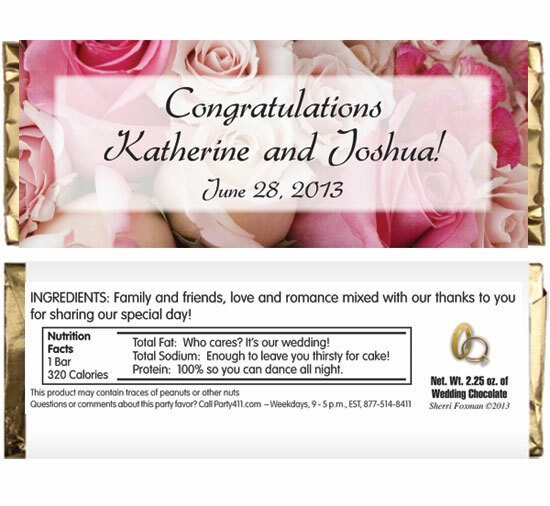 Great way to remember the toast! 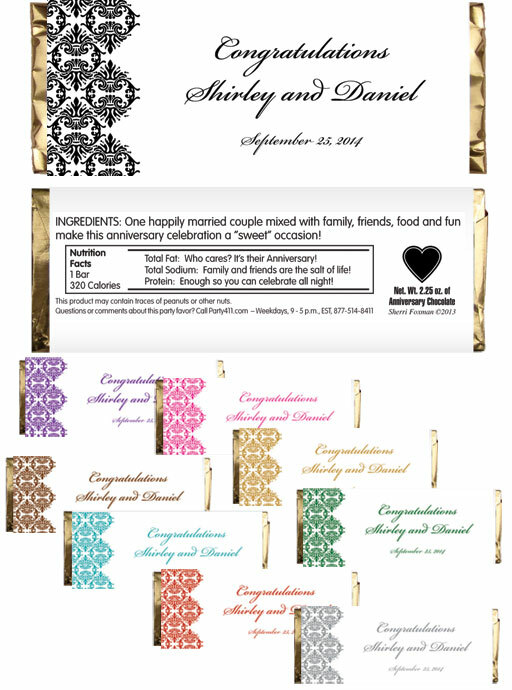 A great celebration party favor.